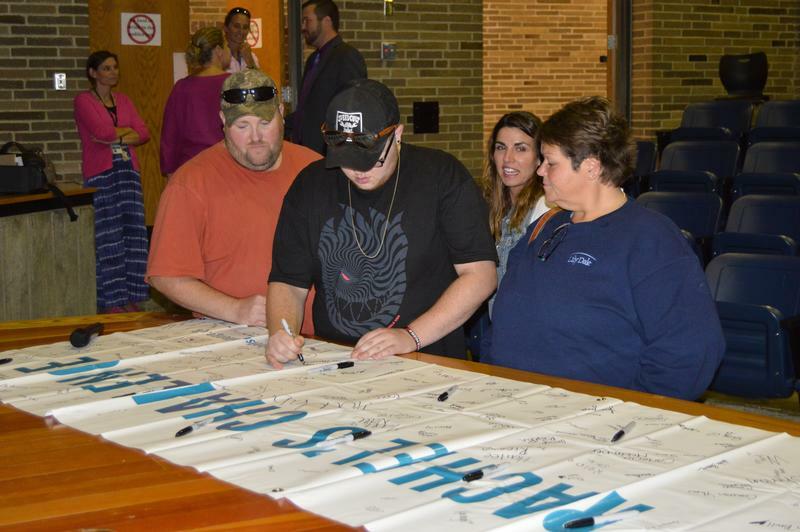 This year, students and staff at OCM BOCES have pledged their commitment to “Rachel’s Challenge,” a national program that promotes a culture of kindness, respect and compassion in schools and communities. 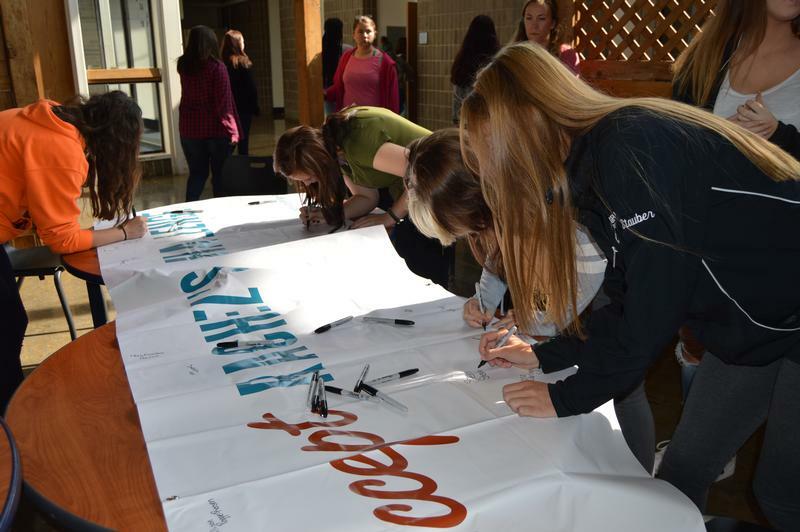 Rachel’s Challenge stems from the deadly Columbine High School shooting in Littleton, Colorado, on April 20, 1999. In that tragedy, two armed teens killed 13 people and wounded two dozen others before taking their own lives. Rachel Joy Scott was the first victim of the shooting. 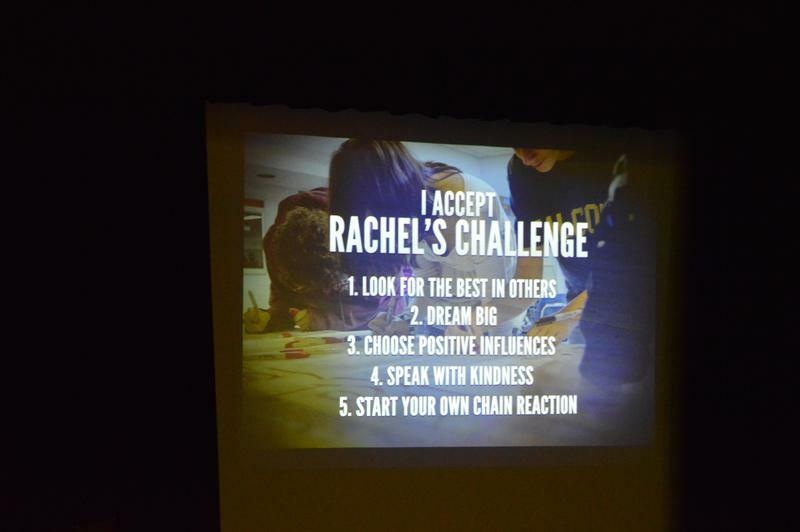 Rachel’s Challenge came into existence after family members discovered six of Rachel’s journals and other writings that espoused her values of kindness, compassion and respect. One essay in particular suggested that a single act of kindness during day-to-day interactions could set off “a chain reaction” of positive behavior in a school or community. 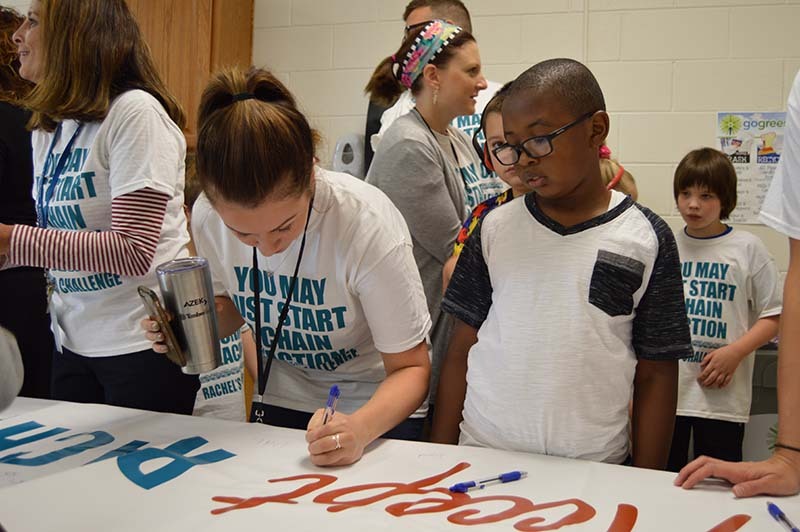 Today, organizers of Rachel’s Challenge say their age-appropriate program has been implemented in more than 1,200 schools across the country, with proven results. For example, an independent study by Multi-Dimensional Education, LLC, an education program evaluator, found that schools implementing this program “achieved statistically significant gains in community engagement, faculty/student relationships, leadership potential and school climate, along with a reduction in bullying behavior,” according to results cited on rachelschallenge.org. The same study found a decrease in disciplinary referrals, a two-fold increase in feelings of safety among students and more than 150 averted suicides, which the students reported themselves. 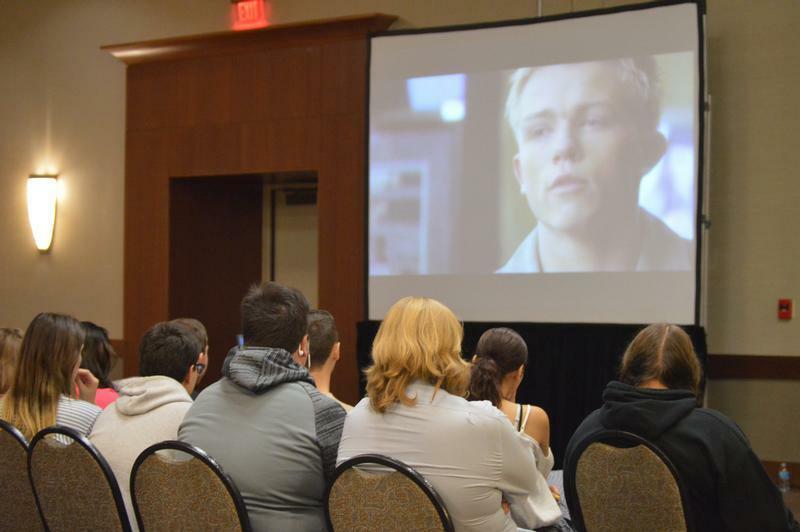 At OCM BOCES, instructional staff listened to the Rachel’s Challenge presentation in August. 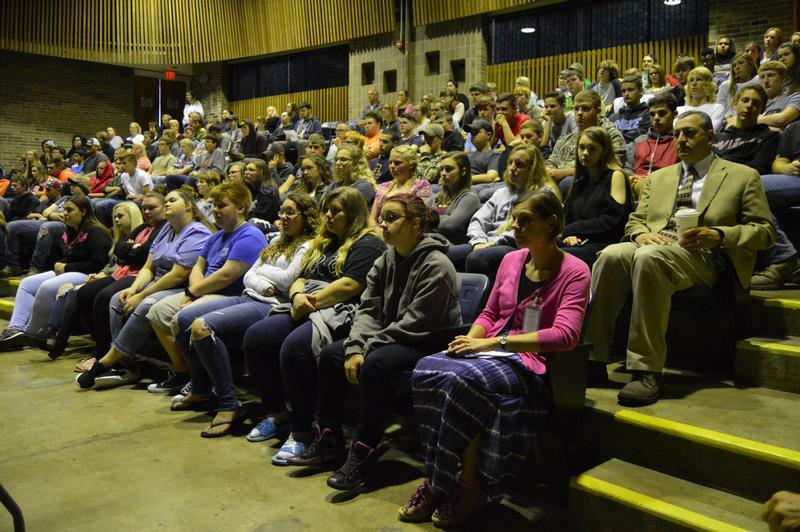 Later, students heard the Rachel's Challenge presentation in mid-September at four sites in Cortland and Syracuse. 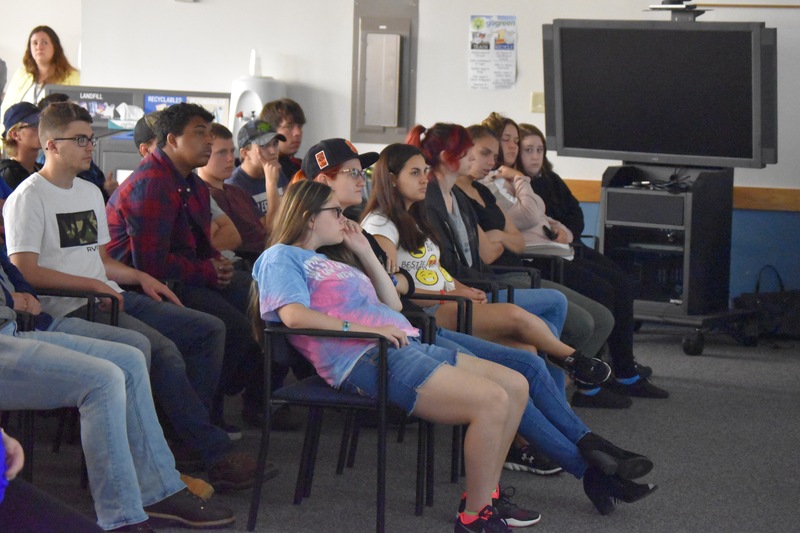 In addition, the program included a community presentation in both regions to share the information with parents and others. 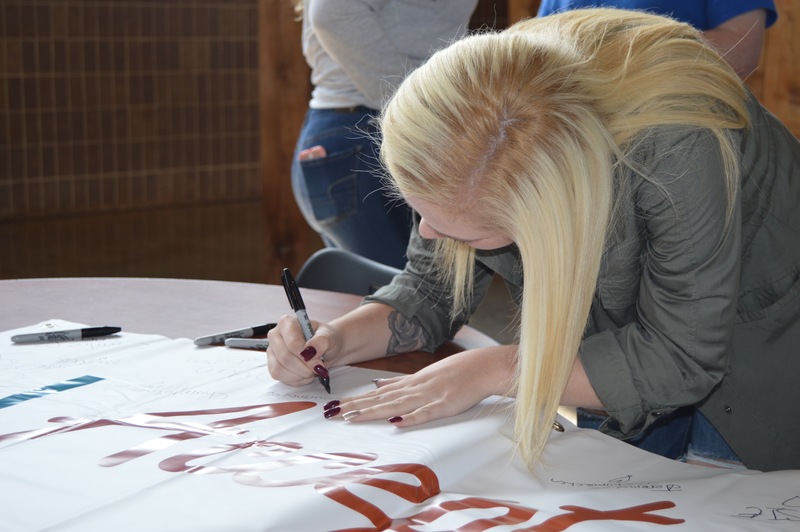 In the weeks and months head, teachers and students will be forming student-led clubs to continue Rachel's Challenge in school. 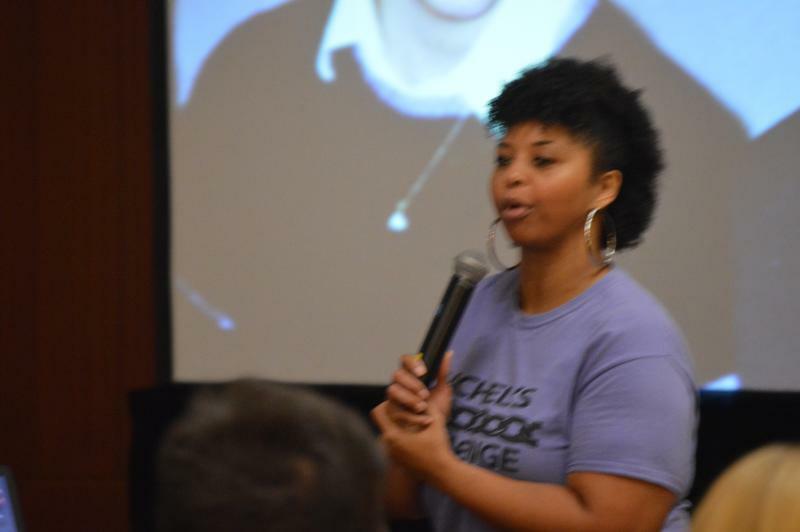 If you would like more information about Rachel’s Challenge, please go to rachelschallenge.org. A resource page with more background, videos and other information can be found at http://rachelschallenge.org/about-us/media.